Won’t my guns get damp inside my safe with all that insulation? If you store your guns in a record safe you will probably get some moisture on them. That is why most American Made gun safes use gypsum board for an insulator. Gypsum board is fire resistant but not made with water like the insulation in record safes and filing cabinets. Why is the fire rating test on my gun safe at 1200 to 1700 degrees? Although gypsum board is an excellent insulator it will not insulate for as long or for temps as high as a record safe or fire proof filing cabinet. There are gun safes available that will offer 30 minutes to 150 minutes of fire resistance at temperatures up to 1700 degrees, with an internal temperature of 350 degrees. Why are most of the fire ratings tested to 350 degrees internal temperature? What is a “Residential Security Container” my gun safe has this label on the inside of the door? Why do I need a special file? My everyday files are metal – they won’t burn. Everyday metal files may not burn, but they will directly conduct the fire’s heat inside, where your records will ignite and burn. In a sense, your metal files become incinerators. What good is a product that is rated Class 350 or Class 125? Fires get much hotter than 350°F or 125°F. The UL class rating signifies the maximum internal temperature allowed during the fire test. Depending on the length of the UL fire test, the external heat to which the product is subjected will range from 1550°F to 2000°F; yet the internal temperatures cannot exceed 350°F or 125°F- for paper or computer media, respectively. What good is a product that is only rated for one hour? Fires last longer than that. The average fire burns at around 800°F. As it passes through the building, the fire’s intensity changes as flammable items are consumed. Fires usually average only 20 minutes in any location. This intense burn is comparable to the burn portion of the UL test. After the flammable items are consumed in the fire, the overall temperature decreases, leaving items inside the fire to absorb the radiant heat. This part of the fire is comparable to the cool down portion of the UL test. Depending on the product being tested, the cool down portion of the test can last as long as 15-25 hours, during which the internal temperature and humidity levels cannot exceed the standards set forth by the test. Most products that fail the UL test fail during this cool down period. Be wary of marketing hype that says “tested to UL standards” – tested doesn’t necessarily mean the product passed the test. A one-hour rating means the product will also survive the cool down period. Why should I buy records protection products? After all, I’m insured. Fire insurance is available, but many fire sufferers found out the hard way that insurance will only pay on losses that can be documented. If your records are lost, you must still be able to document to the insurance company exactly what was lost and what it was worth before they will pay. Fire sufferers have also found out that some items can never be totally reconstructed, even if insurance pays. Vendor/client files, contracts, personnel files, engineering blueprints, accounts receivable and payable – can you and your staff remember or recreate all the information for all these categories? Personal records such as wills, passports, wedding/divorce papers, birth certificates, baby pictures, household goods inventory, tax records, and personal treasures (such as art masterpieces by your child) should all be protected at home. Why do I need a special product for computer media? Don’t fire files and safes protect everything? Fire files and safes are available with different ratings, because paper and media require different forms of protection. During a fire, paper is more durable than media and can tolerate heat up to 420°F before igniting. However, paper will dry out and become brittle when exposed to heat. So, the paper rated file or safe is designed to release a little steam inside to combat the heat’s drying effect when the internal temperature nears 300°F. Media such as diskettes, CDs, and tapes cannot tolerate either the higher temperature or the humidity levels found in the paper rated products. They must be stored in an environment that will stay below 125°F and 80% humidity in order to be protected. Does the insulation ever lose its effectiveness? Some insulation loses its effectiveness over time. All insulation designated as “wet”, “oven-baked” or “oven-dried” loses its free-floating moisture over time, thereby compromising its fire-resistant capabilities. After a fire, do I need to wait to open the file or safe? Is spontaneous combustion a concern? You should wait until you can comfortably rest your hand on the product before you try opening it after the fire. Spontaneous combustion is a concern, and if the product is opened before it has had a chance to naturally cool down, the hot records could ignite when exposed to fresh air. Artificially cooling the outside by pouring water on the product will shorten the cool down period, but may give a false impression of how cool the insides are, so be careful! Can I reuse the insulated product after a fire? Once the product has been in a fire, the insulation loses its protectiveness. There is no way to re insulate the product, and it should be discarded. Are fire proof safes/files also waterproof? UL does not test for water resistance. Prior to being in a fire, all insulated products are not tightly sealed. If they are submerged in water, water will seep inside. After the insulated product is exposed to heat, the insulation expands, forcing all joints to tightly seal and keep water out. Are these products theft or security rated? Fire resistant products generally use relatively light weight steel to reduce heat transference, which in turn prevents the products from attaining a security rating. No matter what type of lock is used, the products can be broken into. Security locks are useful if you want to prevent someone from breaking into your file or safe without leaving obvious physical proof. Generally speaking, the lock on an insulated product is to keep honest people honest and stupid people out. Safes that carry both fire and security ratings are called “composite safes” and are available in the market. Their UL fire protection will be labeled just like a regular insulated file or safe, but the composite safe will also carry a UL security classification. UL rated safes that carry the RSC label offer protection from tool attacks against the door of the safe for five minutes. Safes that carry the TL-15 and TL-30 classification offer protection from tool attacks against the safe’s door for 15 or 30 minutes, respectively. Safes rated TLTR-15 or TLTR-30 offer protection from tool and torch attacks against the door for 15 or 30 minutes, respectively. Safes that are rated TLTRX6-15 or TLTRX6-30 offer protection from tool and torch attacks against any part of the safe for either 15 or 30 minutes. Of course, the price increases with the protection level. If you are not sure what level you need, ask your safe dealer or insurance company for a security assessment. Are these products really fire proof? The actual UL classification is for fire resistance. No product on the market has been tested and proven to survive against every possible fire, so UL will only issue ratings based on a product’s proven ability to resist fires of specific temperatures and lengths. The Safe House accepts the following credit cards issued to the cardholder with a valid address in the United States. Credit card billing occurs at the time your order is placed. The charge will appear on your credit card statement as The Safe House. Protecting your privacy and security is important to us. We do not retain any credit card information. Please note: The Safe House does not accept gift cards issued by any credit card company. 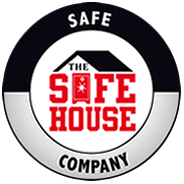 The Safe House will add a 3% surcharge for credit card charges above $1000.00. Credit Card Processing fee’s ARE NOT refundable in the event of a return or cancellation. If your product price is above $1000.00 and you would like to pay with a different form of payment please contact us to discuss alternative options. Please call The Safe House at 615-255-0400 to get account number, routing number and bank information if you will be paying by wire transfer. Cashier’s Checks and Money Orders: Due to fraudulent Cashiers Checks and Money Orders, upon receipt of a Cashier’s Check or Money Order, we will confirm the check with the issuing bank. Then we must wait until it clears the bank which usually only takes two to three business days, but could take up to ten (10) business days. Company and Personal Checks: Orders will be shipped only after funds are released from your financial institution to our account. This usually only takes two to three business days but could take up to ten (10) business days. All checks returned unpaid will be subject to a $35.00 returned check fee chargeable to the customer. Availability of products may change while your payment is in transit or funds are being cleared. The Safe House cannot reserve or guarantee continued availability. Please Note: When paying by Check or Money Order, Please contact The Safe House to confirm product and features before mailing your check. We will then call or email you to confirm receipt of your check. The Safe House is based in Tennessee. We will collect sales tax for orders shipped to Tennessee only. All other states will not have tax applied to orders. Sales Tax laws change often. We make every effort to keep up with current tax laws. If a law changes before we are notified by Federal or State Tax agency, we will collect Sales Tax if the law requires it. The Safe House strives to ensure all products are priced correctly but sometimes errors are made. The Safe House verifies the accuracy of all products and pricing before processing and shipping your order. If a product is listed with an incorrect price due to typographical errors or erroneous information from our suppliers or manufacturers, The Safe House will correct any errors at our discretion and either issue a refund if the price is lower or if the price is higher offer you the option of paying the higher price or selecting a different item. Refunds will be issued by the same payment form used to process your purchase. All warranties are per manufacturer written warranties and cannot be change either verbally or in writing by The Safe House. If warranty claims arise The Safe House staff will be happy to assist you in contacting the respective company and filing a claim. Used Safes: Used Safes or products DO NOT include any warranty unless listed on product listing or on individual invoice. Does The Safe House offer Free Shipping? No we do not, Why? We do not feel it is fair to mark up our prices to include shipping and call it free. FREE IS NOT FREE. We would rather offer you great prices and charge only the freight cost to your location. Shipping will be calculated after your order is received and an estimate with shipping cost will be sent to you via email. The Safe House does not ship to WA State ,CA,or OR due to the high cost of shipping to these areas. All products over 150 pounds will be shipped via LTL carrier. The Safe House has partnered with select high quality U.S. LTL carriers of our choosing. There are a few things to be aware of when your item is shipped. The carrier will call in advance to schedule delivery. Depending on the weight of the safe you may want to arrange for additional help to bring the safe inside. Please contact us before the item ships if you live on a rural route, area not serviced by freight carriers, or on an Island. If you have a narrow, steep, or inaccessible driveway for an 18 wheel truck and trailer, you will need to upgrade to our Bronze, Gold or Platinum level service (generally delivered on a 26′ truck). If inaccessible by a 26′ truck or larger, please call us for further options. When the LTL carrier calls, please be sure to accept their call in a timely manner. At time of contact make arrangements for the delivery of your safe. You or a designated person is required to be present at the time of delivery. Deliveries are Monday – Friday 8:00 AM – 5:00 PM unless prearranged with the LTL freight company. A 4-8 hour window of availability is typically required. If the carrier attempts delivery without making an appointment, you can refuse delivery and request an appointment for an additional charge. Please call us at 615-255-0400 if assistance is needed. The Safe House staff will be happy to provide the LTL carriers contact information. Storage fees may apply if delivery is not made within 3 working days from arrival at the terminal. You will need to pay these fees before a delivery is made. Once an appointment has been set, and a shipment has been put out for delivery, and the consignee agrees to change the delivery appointment, a re-delivery charge will apply. You will need to pay these fees before a delivery is made. Visually inspect all packaging and notate on the delivery receipt any minor scrapes or tears on packaging. Why? Failure to notate on the delivery receipt even the most minor of scuff, scrape or tear will relieve the LTL freight company of responsibility for any damage to your product (even hidden damage) and a damaged goods freight claim is impossible to submit. ON THE DELIVERY RECEIPT NOTE EVEN MINOR PACKAGING DAMAGE SUCH AS SCUFFS, ABRASIONS OR INDENTS. NOTE LOCATION OF THE DAMAGE TO PACKAGE AND ANY OTHER INFORMATION THAT IS NEEDED. Minor nicks, scratches scuffs and abrasions are common for safe and large product deliveries. These do not affect the operation of the product and if touch up paint is needed contact The Safe House staff to arrange to have touch up paint shipped out. Note: Some manufactures include touch up paint with their safes. If any parts are missing, please contact us and we will promptly send you replacement parts. You should ask the driver if you can remove the packaging to inspect the actual product for damage. It is the driver’s discretion to allow you to remove the packaging and they may refuse. We recommend you remove the box and/or wrapping to inspect your product if allowed. If someone other than yourself will be meeting the driver to receive your product, please advise them of this responsibility. Refuse major damaged freight and/or note any major damage on delivery receipt before signing. Please contact The Safe House immediately to report problems. (Major damage is severe scratches, dents or creases that impact the integrity of the product). If you sign the freight bill, accepting delivery as undamaged, without inspecting the packaging or product, WE CANNOT FILE A FREIGHT CLAIM. Please call us and we will provide you with the Freight Companies contact information. LTL FREIGHT CARRIERS WILL NOT HONOR A FREIGHT CLAIM IF YOU DID NOT NOTATE EVEN THE SLIGHTEST DAMAGE ON THE DELIVERY RECEIPT. Most freight carriers allow 48 hours from a delivery to file a freight damage claim. After this time has passed, you will then need to file a freight claim with the shipper on your own behalf. To file a freight claim immediately call us at 615-255-0400 or e-mail us at nashvillesafehouse@gmail.com . Fax or e-mail the original delivery receipt with your signed notation and photos if possible showing condition of the freight. THE SAFE HOUSE MUST HAVE A COPY OF YOUR NOTATION OF DAMAGE ON THE DELIVERY RECEIPT TO FILE A CLAIM WITH A CARRIER. If more than one product is delivered to you, and some of the product(s) are not damaged, you need only refuse the damaged product and accept the other units. Note on the Delivery Receipt how many units were refused for damage. If you sign the delivery receipt, accepting delivery as undamaged and later find damage, The Safe House and carrier will not be responsible for repairs or replacement of the product. You MUST inspect freight IMMEDIATELY, and report concealed damage (damage not noted on the delivery receipt) within 24 hours of delivery. Always keep the original packaging material until someone comes to inspect it or we advise you to dispose of it. If your product is in good working condition and there are no freight damage concerns, you may dispose of the packaging. If your item malfunctions due to a manufacturer’s defect after you have received it and within the manufacturers warranty period, we can either replace the defective part, or if necessary, the entire unit. We maintain great relationships with the manufacturers who produce them. If you are having an issue, please contact us and we will make every effort to resolve it within the manufacturer’s warranty terms and conditions. For over 22 years The Safe House has taken great pride in our company and our products so as you can imagine customer satisfaction is very important to us. We urge customers to double check their orders before shipping but when necessary we do have a 30 day return policy on all in stock items. Please notify The Safe House staff of your desire to return and item. At that time you will receive a return authorization number and the correct location to send your item. It is essential that each item is in its original condition and packaging. Customers are responsible for the return freight charges and a 20% restocking fee on the original item ( freight charges are not refundable on returns) Once the return item has been received and inspected you will receive a credit for the total of your purchase minus the freight and restocking fees. Please Note: Unfortunately we cannot receive returns on custom build items. 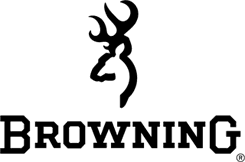 If the item you are purchasing requires manufacturing specific to your order the item is not eligible for our 30 day return policy or cancelation.